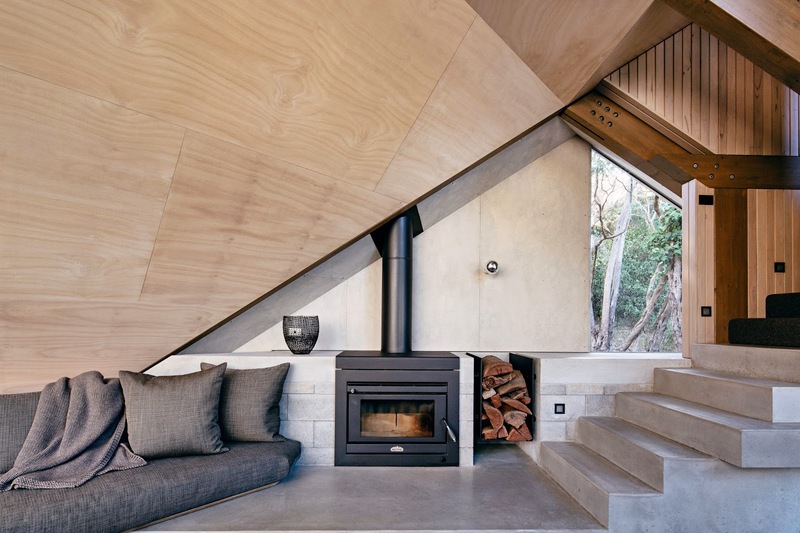 There was a time when architects, interior designers and home renovators considered the fireplace a black blot in the living rooms of the modern Australian home. In the '80s and '90s, in particular, fireplaces found in old houses purchased ripe for renovation were often the first architectural elements to be ripped out, even when other period features were retained and restored. The rationale behind removal was that these old fireplaces not only took up a lot of valuable space and ruined the clean lines that the then popular minimalist styles demanded, but that coal or wood-burning chimneys, often installed in the Victorian era, weren’t very efficient at pumping out heat, and instead often filled a room with smoke. Read more in my article Fire Power in Life & Style for Fairfax Media. Cabin Too, VIC, Maddison Architects, maddisonarchitects.com.au. Photography by Will Watt, courtesy of Australian Interior Design Awards 2014. Melbourne Residence, VIC, Elenberg Fraser, elenbergfraser.com. 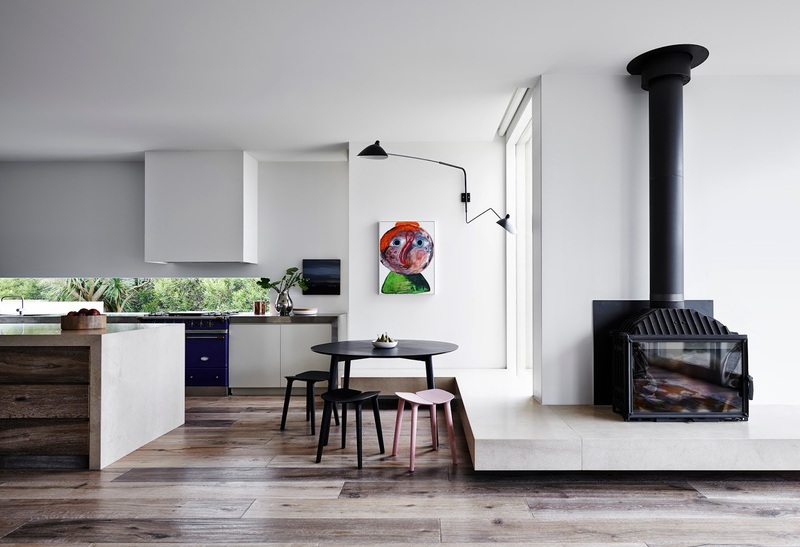 Photography by Peter Clarke, courtesy of Australian Interior Design Awards 2014. Flinders House, VIC, susi leeton architects+interiors, susileeton.com.au. Photography by Lisa Cohen, Australian Interior Design Awards 2014.